We've been saying for a while that we should go to Cafe Vue at 401 for their Menu du Jour especially as we've enjoyed the offerings at Heide and as finding ourselves in the area, we decided to pop in for a leisurely lunch. 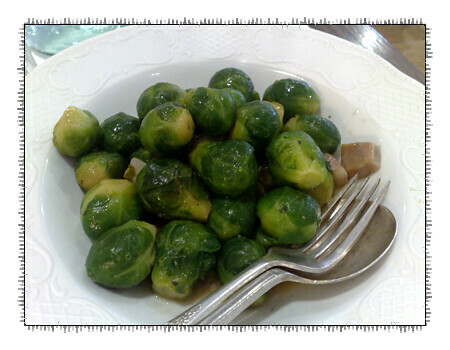 Paalo described this as a perfect dish - there's nothing you could really improve. The bread was well toasted, yet still soft on the inside. 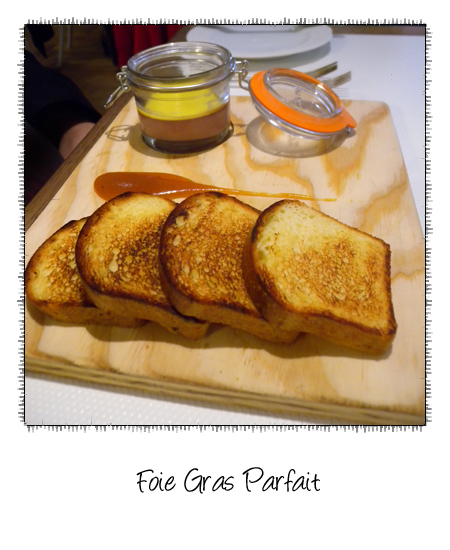 The parfait walked that line or richness and lightness with skill. If he could have had another, he would have. 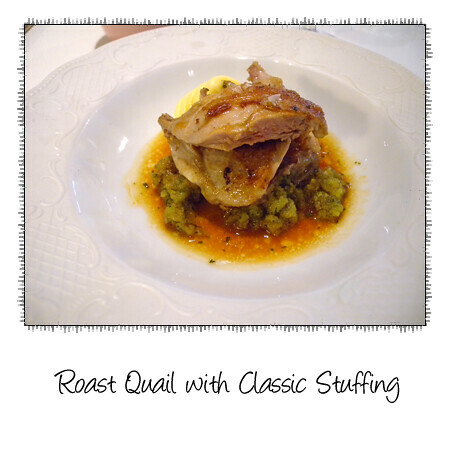 My quail dish was certainly on par - the bread stuffing perfumed with sage and soaked with flavoursome jus. The quail itself was that perfect combination of moist and tender. 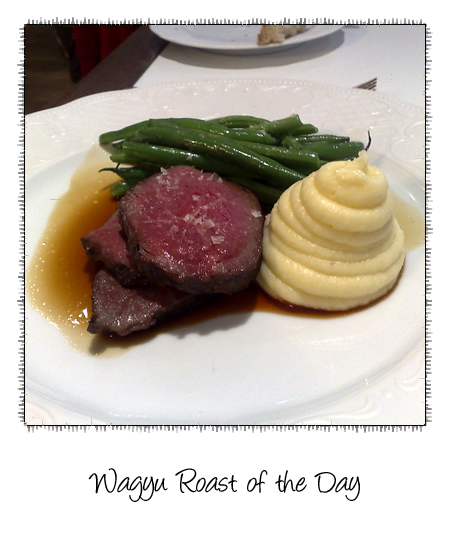 Beautifully cooked beef, tender and full of flavour. 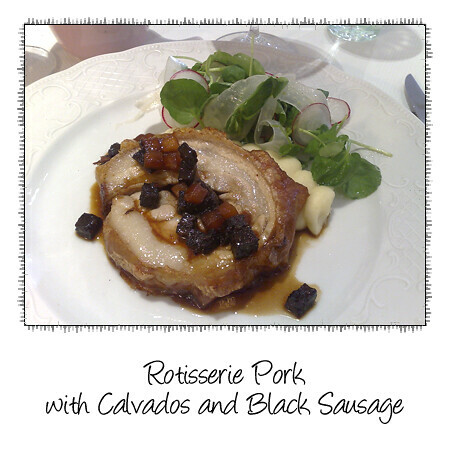 The pork is dressed with tiny cubes of black sausage and apple. Crackling was excellent - really thin and toffee like. This is more of an old fashioned cut of pork - there's a good layer of fat (not as much as you would find in pork belly) adding flavour and richness to the pork. 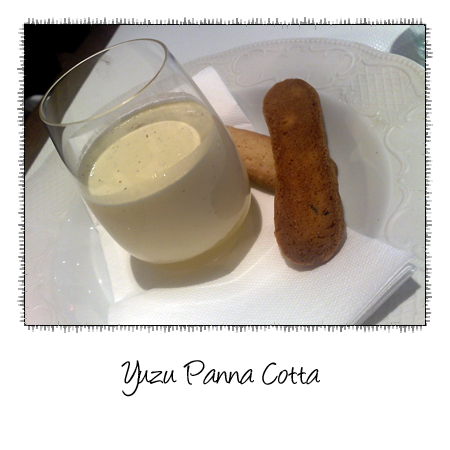 A layer of yuzu jelly lies at the bottom of the glass and it's topped with panna cotta. The yuzu is a combination of mandarin sweetness with lemon tartness. 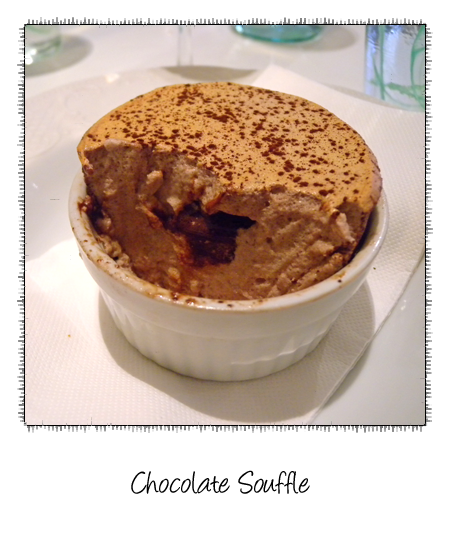 I can never go past any of the Vue's souffles and this chocolate version comes with a molten chocolate core.